2 Bedroom Flat For Sale in Surrey for Guide Price £495,000. 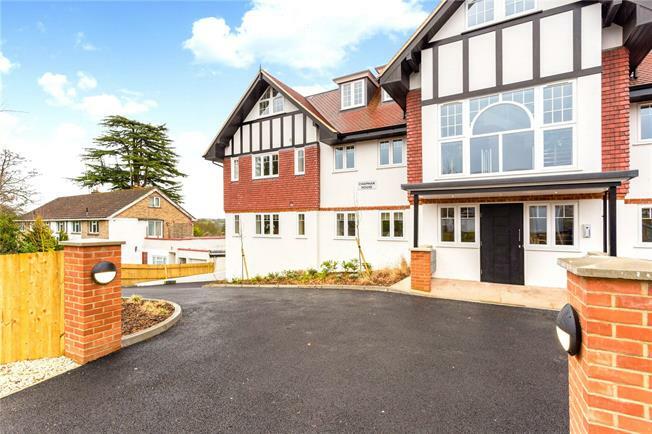 A stunning 2 bedroom duplex apartment offering spacious accommodation of about 1378 sq ft and benefiting from breathtaking views over Caterham valley. The kitchens are German designed with sleek quartz work surfaces and integrated Bosch appliances, providing a superb balance of style and functionality. The bathrooms have elegant feature tiles complimented by the beautifully appointed sanitaryware and fittings. This apartment forms part of a beautifully appointed building consisting of only 12 bespoke apartments, which are a mix of duplexes, regular apartments and penthouses and have been designed for luxury living with designer kitchens and bathrooms, spacious living rooms and private balconies / terraces to some of the apartments. Local transport is convenient and on the door stop with a regular rail service to London Victoria and London Bridge via East Croydon. The M25 (junction6) is less than 2.5 miles away providing access to Gatwick Airport approx. 14 miles away. Caterham provides an array of facilities and amenities including a vibrant high street and the Church Walk shopping centre as well as a number of restaurants, pubs, coffee houses and cafes. This apartment benefits from its own private terrace which benefits from views over the valley.